Stamped cogs are inexpensive, but tend to take a bite out of your freehub. Wide profile cogs are great but tend to take a bite out of your wallet. 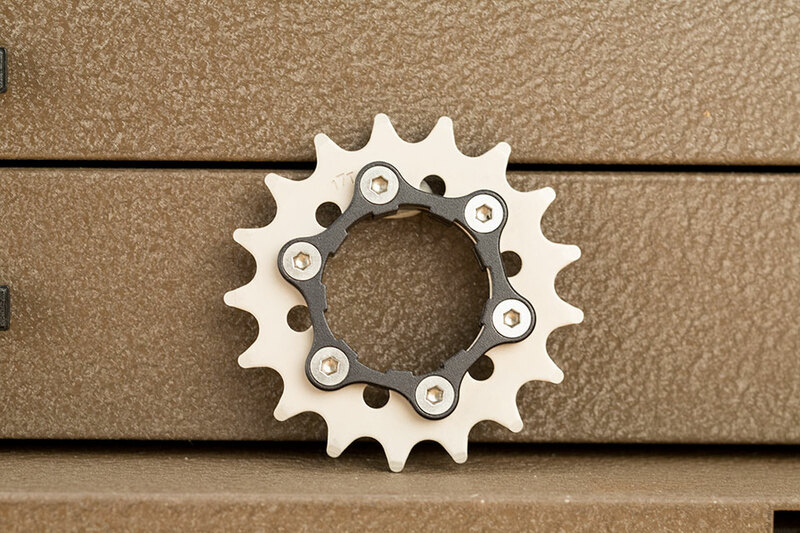 Our Cassette Cog Carrier (CCC) is Shimano-splined and sandwiches a spline-less cog. This gives you a wide profile that won’t damage your freehub and cogs that are less expensive to replace. But wait, are you sitting down? The cogs themselves have a 6-bolt hole pattern just like disc rotors so you can attach them to hubs with disc rotor mounts for fixed-gear use.